A research brief prepared by Next Generation shows that only 61 percent of Americans working in the private sector receive paid sick leave. Those with greater access to paid sick leave tend to be full-time and high-wage workers; White, black, and Asian non-Hispanic workers are also more likely than Hispanic workers to have access. 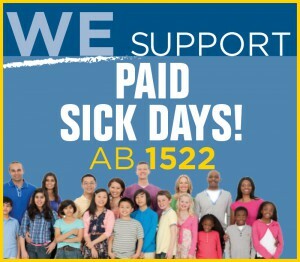 According to polls, 85 percent of Californians support paid sick days legislation. In San Francisco, city-wide Paid Sick Days legislation enacted in 2007 has shown continued support, including from business owners. If AB 1522 passes, California would be the second state to pass such a law. 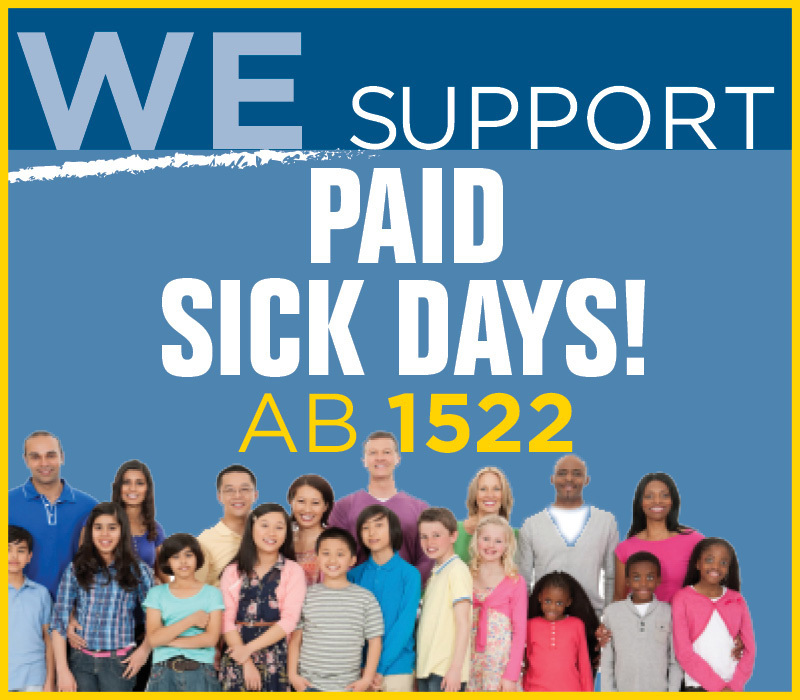 So please sign join us in supporting AB 1522, a landmark California bill to provide EVERY worker with paid sick days. It will provide critical support to millions of working Californians who have worked hard to earn the sick time they deserve. Sign the petition today! This entry was posted on Tuesday, May 13th, 2014 at 11:30 pm	and is filed under Blog. You can follow any responses to this entry through the RSS 2.0 feed. Both comments and pings are currently closed.